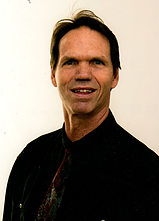 Dr. Melvin has more than 35 years of chiropractic experience, over 20 years of reading and interpretations of thermal imaging scans and 300 hours of radiology. He is a noted speaker who teaches and certifies doctors and technicians in thermal imaging. He has trained offices throughout the US and continues to educate himself everyday in analyzing his patient scans to help them have a better understanding of their health and health options.